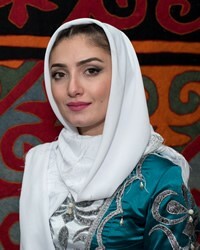 The Karachay people are a Turkic people descended from the Kipchaks, and share their language with the Kumyks from Daghestan. In Turkic, "Karachay" means "Black River". Karachay people value very independence, and have strong traditions and customs which dominate many aspects of their lives: e.g. weddings, funerals, and family pronouncements. However, they also value loyalty to both their immediate family and their "tukum". Traditionally, they lived in communities that were divided into families and clans ( tukum). A tukum is based on a family's lineage and there are roughly 32 Karachay tukums. Prominent tukums include: Aci, Batcha (Batca), Baychora, Bayrimuk (Bayramuk), Bostan, Catto, Cosar (Çese), Duda, Hubey (Hubi), Karabash, Laypan, Lepshoq, Ozden, Silpagar, Teke, and Toturkul. They also value never offending a guest. The majority of the Karachay people adhere Islam, specifically being of the Sunni tradition. Pray for Karachay in the United States evangelical Christians who will share a living relationship with both an ultimate and intimate God. Ask God to send evangelical Christians to engage the Karachay people. Ask God to work through dreams and other miraculous ways to bring the Karachay to a personal relationship with Jesus Christ.